Never get tired of chicken again, this spice blend makes chicken enjoyable any day of the week. The marriage of sage, rosemary and thyme is a classic medley with a new twist! Try finishing with a dash of soy sauce and freshly squeezed lemon to bring out the taste. Hand Crafted Locally Inspired Spice Rubs Made for your favorite foods! Try dusting on popcorn, roasted veggies, salads and of course your favorite proteins! 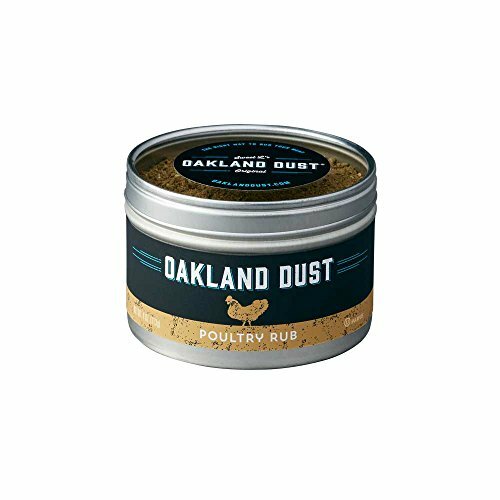 If you have any questions about this product by Oakland Dust, contact us by completing and submitting the form below. If you are looking for a specif part number, please include it with your message.